The Yellow-Headed Parrot can be found in the lowland pine savannas of Belize. The parrot has bright green feathers, a bright yellow crown on the head, white eye ring, and red patches on the wings. A beautiful bird, it's ability to mimic speech and sounds makes it popular as a pet, and a prime target of poachers. The Yellow-Headed Parrot is gravely endangered in Belize due to poaching, deforestation, and wildfire. Numbers of Yellow-Headed Parrots have declined up to 90% since the 1970s. Nests are heavily poached and chicks sold into the illegal pet trade. Poachers often cut down nest trees to get the chicks which destroys habitat for future nests. Yellow-Headed Parrots only reproduce in the wild, only laying two to three eggs per year, so their population recovers slowly. 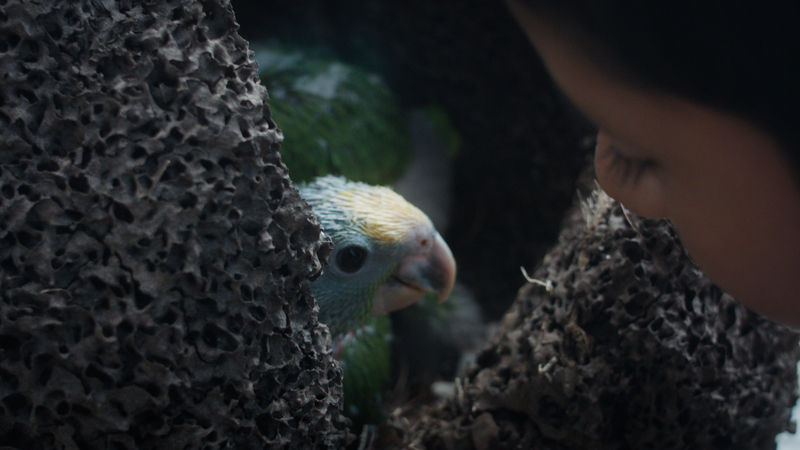 The Yellow-Headed Parrot chicks appearing in this film were rescued from nests at high risk of being poached, and raised by Belize Bird Rescue. The five grown chicks appear in the last scene of the film (shot six months later), as they are released back in the wild. Please support the important work of Belize Bird Rescue. Clink the link below for more information. Click HERE to learn more about the Belize Bird Rescue.